Whether its a festive holiday, or a simple dinner with friends, when you are hosting an event, it is always special. Entertaining can be really fun and satisfying when you know what you are serving, and that you have done your best to make great food and serve the best drinks! Holidays are a time to be a bit more extravagant and indulge yourself in a few luxuries. So naturally, there is bound to be some Wine and Champagne at the table. A meal will always be more enjoyable if paired with a great tasting wine. You can go and pick out a good-looking affordable wine for your guests, but unless you are a vintner, how do you choose what wine will go best with the food that you are serving? And what should be the criteria for choosing your wines, besides the price, of course?? Luckily for all of us, here are some simple points to consider that would make your food and wine pairing process, a bit less intimidating. Wines are characterized by different wine grades, and come in three basic forms: red, white and sparkling. Sparkling white wine that comes from a particular region of France is called Champagne. 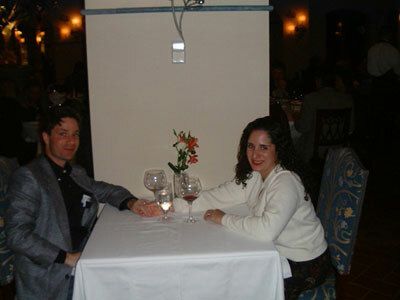 Generally, Red wine is considered appropriate with red meat and hearty pasta dishes, while White wine is preferred with fish and many chicken dishes. 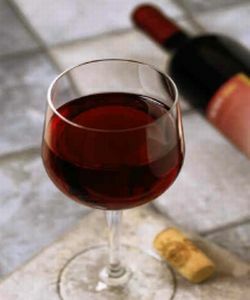 Red wines are benefited by aging, while white ones can served immediately after they are produced, with the exception of some sweet wines and champagne. Without getting too technical, the general idea is to serve lighter wine with lighter food and hearty wine with richer food. Here are some excellent tips that I could gather from here and here to help you in the wine-selection process. 1. How much do I want to spend? Keep a budget in mind so you don't get distracted. 2. Do any of my guests prefer red or white wine? 3. Are there some favorite brands you'd like to stick to? 4. What kind of food am I going to be serving it with? With answers to these questions ready in your head, you can relate to the guidelines given below which show how food and wine can be paired together. These two when combined together, have the ability to alter each others flavors. And usually, the spices, seasonings, sauces, herbs or the style in which the dish is prepared will determine the best-suited wine. Salty/Spicy or Grilled Foods go best with lightly-sweet or mild fruity red wines. Chardonnay harmonizes with poultry and cheese. There are many variations of this white wine that can run from sweet and fruity to sour. It can even be paired with seafood quite well. Chenin Blanc is also a white sparkling wine and goes well with fish and chicken. A general rule is that wines that blend well with fish and other white meat contain high acidic flavor. The sharp, crisp hint of acid enhances the flavor of fish like a drop of tangerine juice would. Meat and Seafood are difficult to pair with, especially as it depends on the type of cuisine and the spices. Most oriental food and white meat dishes won't go wrong when matched with a Riesling. Spicy Mexican foods on the other hand are best eaten with Shiraz, which is a versatile wine; it complements many popular meat dishes such as chicken, pork, beef and duck. A medium bodied wine such as Red Zinfandel will always taste better with red meat while White Zinfandel which is a newly-developed wine in the market goes in tune with pasta with light sauce, fish and most light dishes. Acidic or Bitter Foods have a highly pronounced taste, so these are best paired with light reds or whites with medium-to-high acidic levels. Recommended choices are Merlot or Pinot Grigio. Rich and Creamy Foods, like meat gravies and cheese sauces should definitely be served with full-bodies high-tannin wines so they can balance the greasiness in cheese or meat. Good choices would be Cabernet Sauvignon, Petit Sirah and Bordeaux. Sweet Foods definitely have to go with mildly-sweet or highly-sweet wines to grasp the flavor. Desserts are best paired with Rieslings, Port wines, or Madeira. There, a nice and short summary of what I have learned till now. You can also find several wine reviews around the web.With a little bit of preparation, you can surely entertain yourself and your guests in a much better way! There's nothing like the "best" or "perfect" wine; the key is to find the one that will highlight the taste of your meal best. As you try more wines and learn more, your confidence will grow, and you'll develop the knack to mix and match. Hope this article proves to be a starting point in your "spirit-ual" journey. It's time for celebration, and there's nothing more fun than entertaining with style!! Great post! We do buy Wine for weekends sometimes, but not often. I do agree when i serve wine with Indian or spicy food i too tend to give sweeter or lighter rosie or white wine. Even though i like my self a red wine. Asha, HC - thanks for the vote of confidence! brilliant writeup! concise and very informative. I do like to study wines in my spare time, and I can say that your summary is really helpful for amateurs!! It is always a good thing to pair wine with food. However, there is little awareness in most places of fruit wines. Very often, especially with Indian and other Asian food, fruit wines go better than grape wines ever could. I am not sure if any fruit wines are available in India but if they are not then they will be because India is becoming a strong destination for the best that the world has to offer. I find, personally, that strawberry and peach wines go well with vegetarian Indian food and passion fruit wine and cider (apple wine) go well with biriyani. When a meal consists of paratthas or nan and meat then mead (honey wine) or metheglin ale (a kind of wine-beer hybrid made from a mix of honey and hops) go really well as does perry (pear wine). You should write a book. I'm trying to get better with my wine knowledge, but sometimes when I walk into a wine shop, I feel like I'm just throwing darts at the bottles to see what I end up with. This is one of the best explanations I have read in a long time. You boiled it down to the best of the basics.